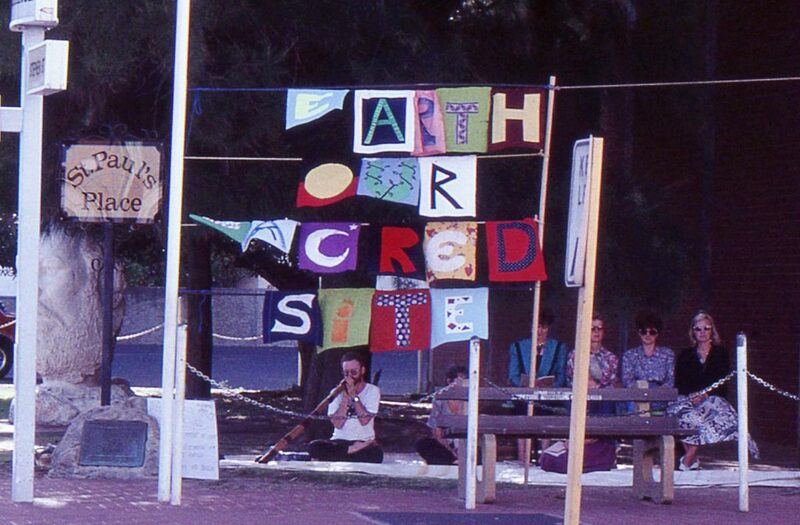 Joan’s passion for conservation and sustainable living have driven her to protest against many major environmental issues in Bunbury and further afield. This was at a peace rally at St Paul’s Place (where sculpture of Lord Forrest is). This was a green grassy space with trees. A village green. If you needed to meet someone in town this was the place, or to just go and sit. To many, there was a sense of sacredness as it was the site of St Paul’s Church that was pulled down before I came here about 1968. Now there is a picture of it there instead. A lot of people were not happy about what has been described as a very beautiful church’s demise.